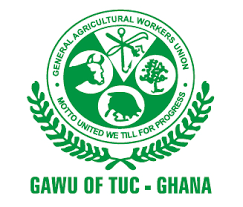 The Industrial and Commercial Workers Union (ICU) and the Agricultural Workers Union (GAWU) have praised the Chief Executive Officer (CEO) of the Ghana Cocoa Board (COCOBOD), Joseph Boahen Aidoo, for properly handling matters related to the welfare of the workers of the Board. The General Secretary of the ICU, Solomon Kotei and General Secretary of GAWU, Edward Kareweh, described Mr. Boahen Aidoo as a great leader. Mr. Kotei disclosed this during the signing ceremony of a Collective Bargaining Agreement between COCOBOD, ICU and GAWU to usher in a new era of major improvement in the welfare packages of thousands of COCOBOD workers. The ceremony was held on Wednesday at the Headquarters of COCOBOD in Accra. The two unions represent over 8,000 workers of COCOBOD. They have been engaged in negotiations with the current management for some time now. Mr. Kotei said “the strength of every management and union is when there is mutual agreement. “And now that today has favoured us; we are coming to sign this agreement. We couldn’t do it without proper acknowledgement for the man in the chair, Joseph Boahen Aidoo who made it all happen,” he stated. Mr. Kareweh also stated that there wouldn’t have been negotiation if all parties had not compromised. He added that Mr. Aidoo made history in seeking the welfare of the workers. Mr. Aidoo said the signing of the Collective Bargaining Agreement would strengthen cooperation between management, union and staff of COCOBOD. “We must continue to strengthen that relationship built over the past two years,” he added. He called for the deepening of cooperation between the board of COCOBOD, management, unions, workers, farmers and all stakeholders. He said management is committed to ensuring that the welfare of workers and farmers. “We are going to do everything within our means to make you happy, as we work together to enhance the image of COCOBOD worldwide,” he added.